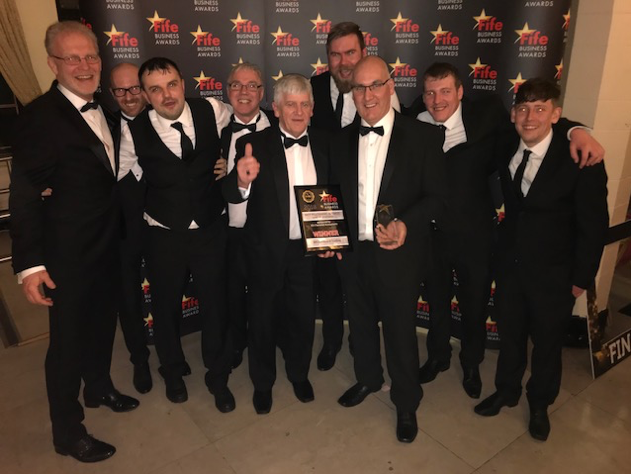 EPS Services & Tooling Ltd was awarded the accolade of being the Best Performing Business of 2018 employing less than 50 staff by the Fife Chamber of Commerce on March 23rd this year. The saw servicing company operates sites in Taunton Somerset and Kirkcaldy in Fife. The Fife facility started operations in Scotland in 2007 and has seen significant sales growth year on year. EPS relocated to new premises in Kirkcaldy in 2013, winning more business to sustain their growth and increased staff levels from 4 to 14 over the last 5 years.